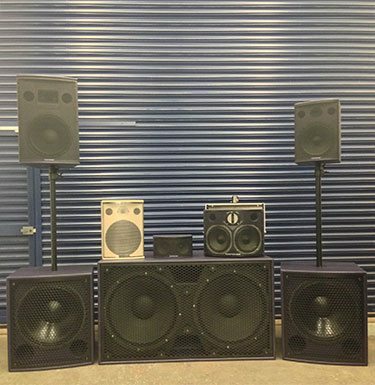 At Sound Services Ltd we have a variety of brand new, second hand and ex-hire stock for sale. We have a large selection of Funktion One and FFA used equipment sales as we are main dealers for both brands. Please get in touch for expert advice and the latest offers. Below is a PDF which can be downloaded of current used equipment for sale which was uploaded in April 2018. All secondhand equipment comes with a warranty from us for 1 year and may also come with a manufacturers warranty depending on the age of the equipment. We regularly turn our equipment round so if you are looking for equipment in nearly new condition then please enquire for a price. We currently have a large stock of Full Fat Audio (FFA) amplifiers and Funktion One speakers available as well as Pioneer DJ equipment. We also have some powered and passive speakers made by Electrovoice as well as a BSS Soundweb BLU 120.